Feed a crowd of foodies with this flavor-packed Buy 1 Take 1 Delivery Deal from House of Lasagna. Taste the most intense flavors of lasagna varieties that will surely suit an array of taste buds and preferences- from strict vegetarians to the most carnivorous meat lovers. 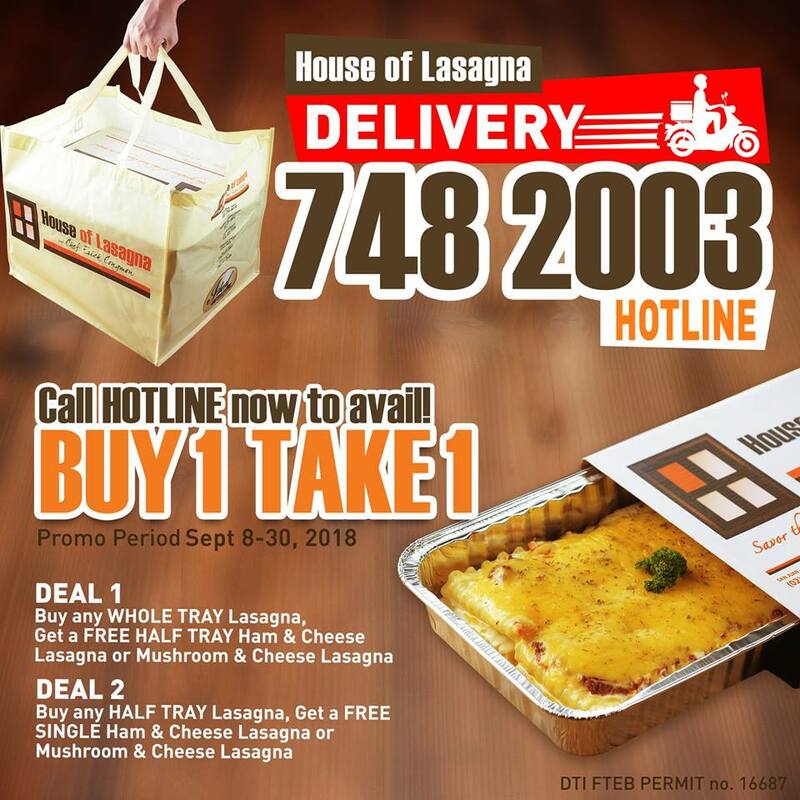 Avail of this Buy 1 Take 1 deal of mouth-watering goodness when you dial House of Lasagna’s Delivery Hotline – (02) 748-2003. 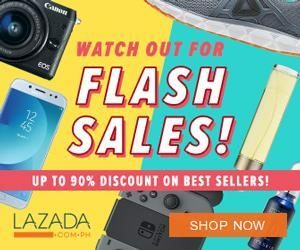 The offer is valid on delivery transactions ONLY until September 30, 2018. House of Lasagna was founded in 2009 in Little Baguio, San Juan City. It has become a prominent brand with five (5) branches in Metro Manila to date. They boast of a wide variety of lasagnas — from its bestseller Beef Lasagna, to its innovative dishes, as well as other signature meals. Visit their official Facebook Page for more details and updates about the promo.